Each and every glimpse that we get of the upcoming Wolfenstein: The New Order makes it evident that this game will be equal parts eye candy, insane story and off the hook action. Bethesda have released 2 more videos with a look at one of the first encounters with the seriously frightening Frau Engel in Chapter 3: The Train Sequence as well as an introduction to Tommy Tordsson Björk, Bethesda developer. Currently under development at MachineGames, Wolfenstein: The New Order, the first-person action-adventure shooter, reignites the franchise widely recognized for pioneering the first-person shooter genre. Set in the 1960s, the monstrous Nazi regime has used mysterious advanced technology to win World War II. They now rule the globe with an iron fist.Wolfenstein: The New Order sends you across Europe on a harrowing mission to bring down the Nazi war machine. Don't forget that by preordering Wolfenstein: The New Order you'll also be invited to access the DOOM beta. For those of us old enough to remember the good ol' days of hunting Nazis, you can play the original Wolfenstein 3D right from your browser. Wolfenstein is slated for release in Australia and New Zealand on May 22nd on the Xbox One, PlayStation 4, Xbox 360, PlayStation 3 and PC. 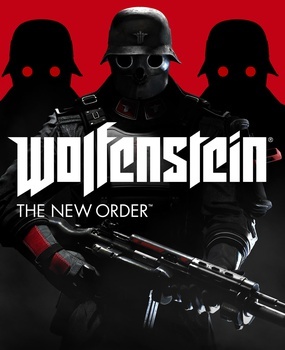 For more information on the game visit: www.wolfenstein.com.